For the 7th consecutive year in Veliko Tarnovo will be held the Dance and Latin Culture Festival – UN BESO FIESTA 2018. Within 3 days in the old capital will be organized a variety of activities going under the motto ‘Sharing the dance passion’. 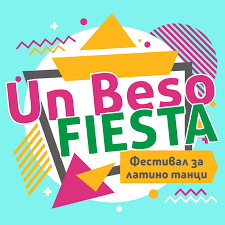 The festival UN BESO FIESTA is an initiative which we – UN BESO art&dance center organize with great pleasure as it represents our attitude towards life: to have fun, to be with our friends and to create happiness for the people around us.